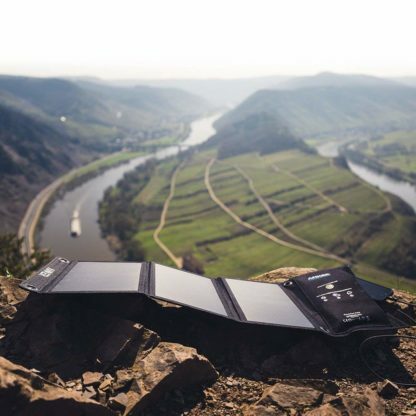 Fast Charging Technology: PowerIQ delivers the fastest possible charging speed up to 2.4 amps under direct sunlight. 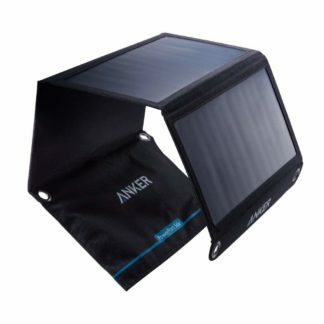 21 watt SunPower solar array is 21.5-23.5% efficient, providing enough power to charge two devices simultaneously. 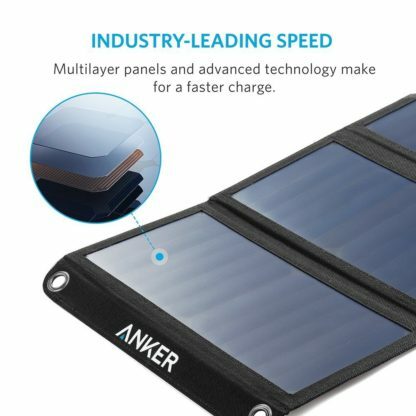 Incredibly Durable: Industrial-strength PET polymer faced solar panels sewn into a rugged polyester canvas offer weather-resistant outdoor durability. 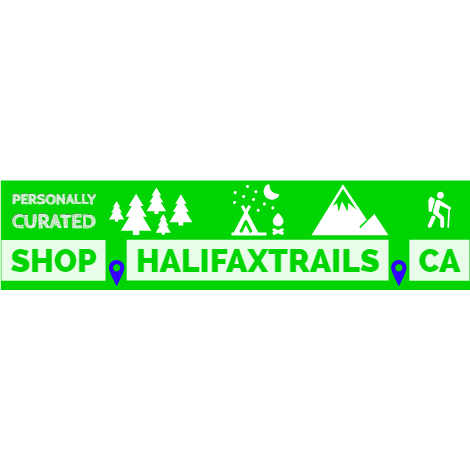 Highly Portable: Compact size (11.1 × 6.3in folded or 26.4× 11.1in opened) and stainless-steel eye-holes on each corner allow easy attachment to backpacks, trees, or tents. 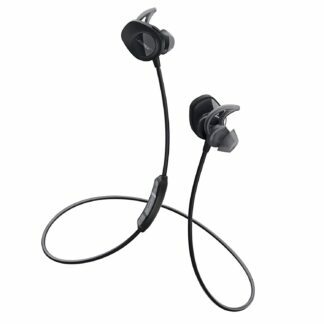 Lightweight (14.7 oz) and ultra-thin design (1.1in folded or 0.2in opened) make it ideal for long treks. 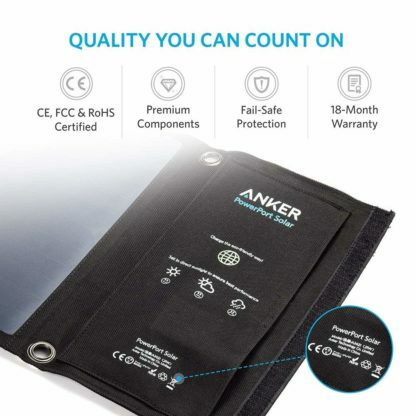 What You Get: Anker PowerPort Solar (21W 2-Port USB Solar Charger), 3ft Micro USB cable, welcome guide, our fan-favorite 18-month warranty and friendly customer service. Charge with the power of the sun. 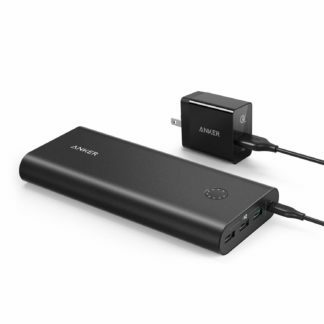 When you’re out enjoying the great outdoors, enjoy another perk: free limitless power. 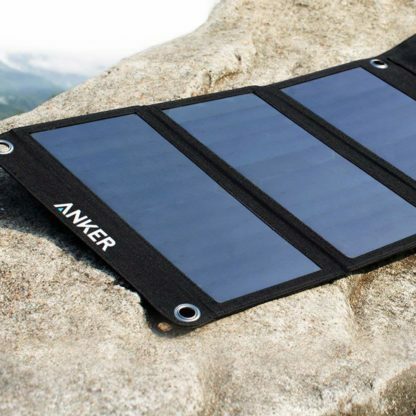 Simply spread out the solar panels or attach to your pack to start recharging your gadgets. 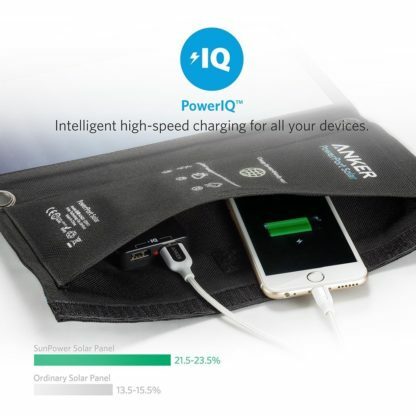 Exclusive to Anker, PowerIQ discovers and replicates your device’s original charging protocol to provide its fastest possible charging speed up to 2.4 amp per port or 3 amps overall (with enough direct sunlight). 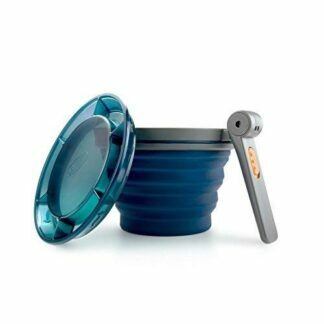 Compact design (11.1 × 6.3in folded or 26.4× 11.1in opened) and rugged stainless-steel eye-holes on each corner make attaching it to a backpack or tent a cinch. Super lightweight (14.7oz) and thin (1.1in folded or 0.2in opened), it easily fits in a daypack. 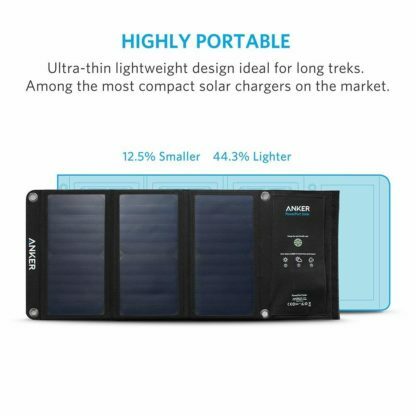 Industrial-strength PET plastic faced solar panels sewn into high-wear polyester canvas ensure it’s able to withstand the trials of your outdoor adventures. 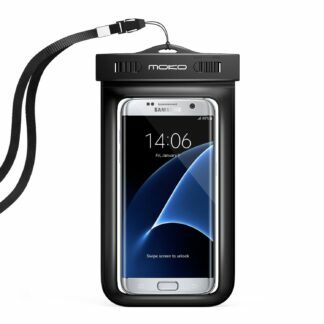 • Ability to charge your device dependent on sufficient sunlight. • While the polyester canvas provides some water protection, we recommend minimizing moisture exposure to protect electrical components. 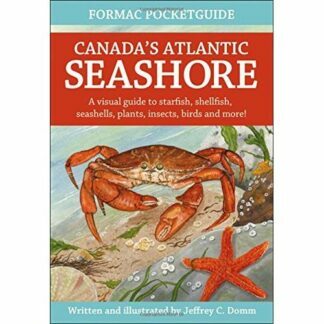 • Compatible with Apple and Android smartphones, tablets (including the Nexus 7) and other USB-charged devices. Not a battery. 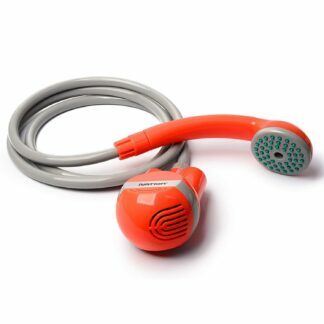 Does not hold its own charge. 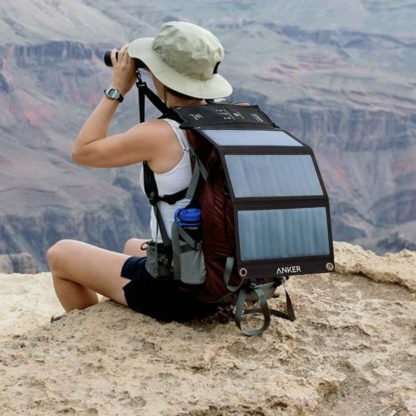 May only charge in direct sunlight. 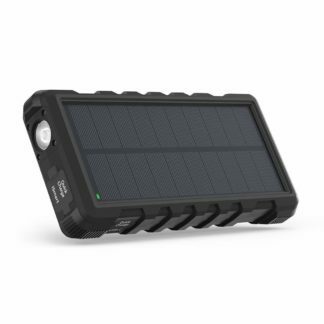 Waterproof Solar Battery Bank: 25000mAh.